*If you are having trouble installing, disable your preware feeds. * This is the *lite* version of XMBC Remote found in the App Catalog. It limits results from the server. 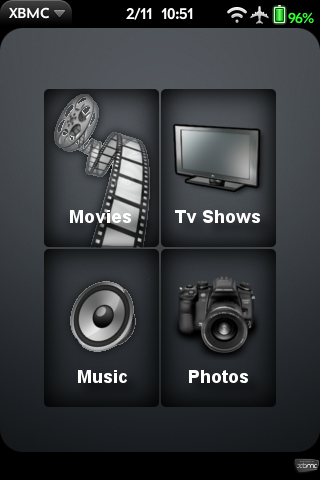 Control XBMC from your WebOS phone. No need to install anything on your computer. Simply enable XBMC's web server, and connect to your media center through your home wifi. Browse and play your movie and tv show libraries. Build playlists from your music library. Also supports photo browsing and slideshows. File mode is available for users who do not load items into their library. Please contact me via 'Help' in the application menu if you have any problems. ****Now upgrades to the Full Version for users outside the US until 4/1/2010. Choose "Unlock" from the application menu.